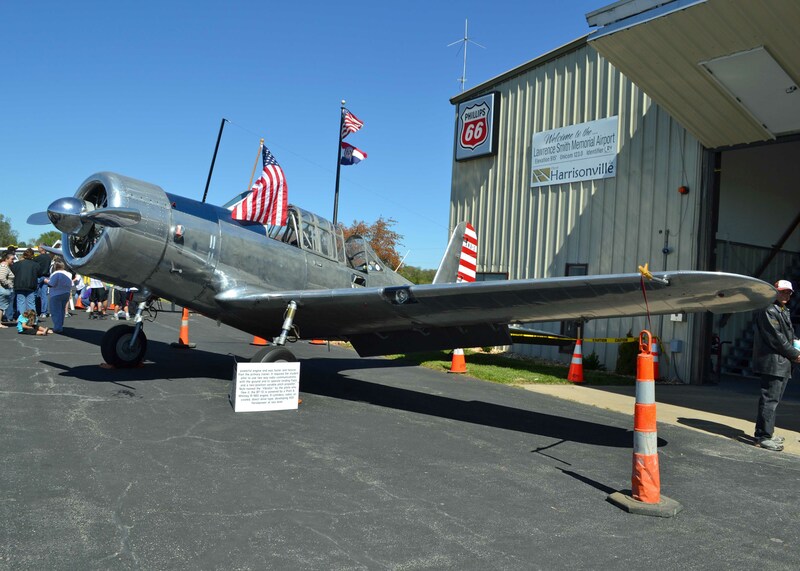 Conveniently located just three miles south of the historic Harrisonville Square at the intersection of I-49 and Hwy 7, Lawrence Smith Memorial Airport has been serving the aviation needs of Harrisonville and surrounding areas since 1984. The airport was made possible by a land donation from J. Harold Smith and named for his brother who was a military airman and avid flyer. The airport is operated by the City of Harrisonville as a division of the Public Works Department and utilizes federal grant money for airport asphalt maintenance and airport improvement projects as part of the Federal Aviation Administration's National Plan of Integrated Airports System (NPIAS). In addition to being a part of the national airports system, the Lawrence Smith Memorial Airport is also a vital part of Missouri's State Aviation System Plan (MSASP). The airport has a $3.2 million impact on Missouri's economy and creates 40 jobs statewide. As one of Missouri's regional airports and the only public use airport located in Cass County, many businesses utilize the Lawrence Smith Memorial Airport when visiting the area. Many local businesses also use the airport as a base for operations, including aerial agricultural spraying operations, and Life Flight Eagle emergency medical evacuation services which uses the airport as one of its five bases, providing life saving coverage to the KC metro area. To learn more about the Lawrence Smith Memorial Airport, please contact the Airport Manager at 816-380-5039.